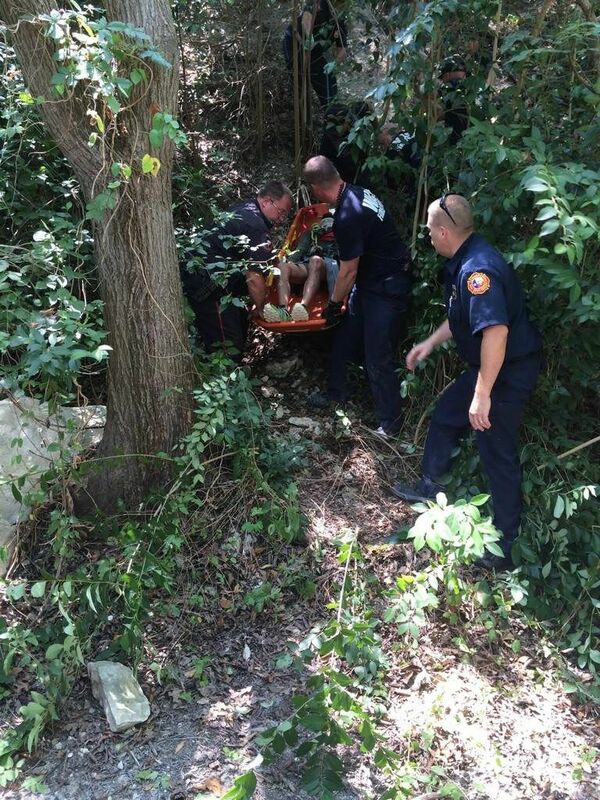 Waco fire crews carry a man who apparently fell from the Lover’s Leap area in Cameron Park around 11:30 a.m. Friday. Waco fire crews work to get to a man who apparently fell from the Lover’s Leap area in Cameron Park around 11:30 a.m. Friday. A Baylor University graduate student was hospitalized Friday afternoon after falling about halfway down the cliff from the main area of Lovers Leap in Cameron Park, officials said. Waco fire officials rescued him and carried him to a boat about an hour and a half after the fall, which bystanders said happened just after 11:30 a.m.
Bystanders and fire officials said the man’s name was Rex and that he was set to move to Alaska on Saturday to teach international politics. Baylor spokeswoman Lori Fogleman confirmed there is one man named Rex listed as a Ph.D. candidate in political science, a Rex G. Carr Jr., and Baylor’s website says he is set to teach in Anchorage, Alaska, in the fall 2014 semester. Two bystanders said they were in a boat below Cameron Park’s cliffs when they heard a man scream and hit something. They docked their boat nearby and walked up the trail to see what had happened. Harold Nutt, 43, and Latisha Knight, 28, found the man, spoke to him, held his hand and gave him water until rescuers arrived. They said the man told them he was listening to music at the top of the cliff and then turned to leave when he slipped. 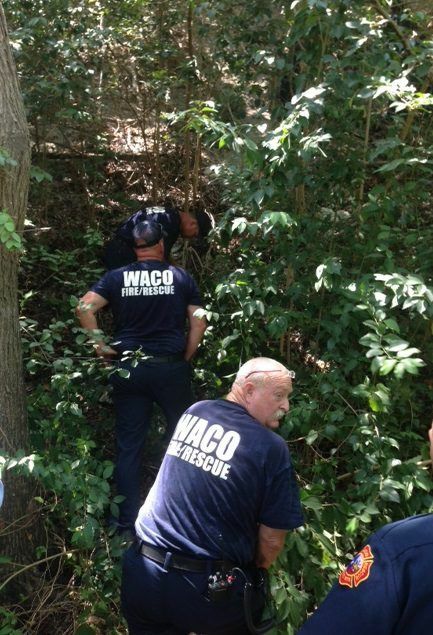 Rescuers reached the man, removed brush around him and tied him to what they called a “Stokes basket” to lower him down the rest of the cliff onto a trail before carrying him to a waiting Waco Fire Department rescue boat below, Acting Assistant Fire Chief Robert Beechner said. The rescue boat carried him to a McLennan Community College dock, where an ambulance was waiting to take him to Baylor Scott & White Hillcrest Medical Center. Waco police Sgt. W. Patrick Swanton said the man’s injuries were reportedly non-life-threatening. Swanton said the man was reading a book while sitting atop the bluffs, stood up and lost his balance, causing him to fall. Beechner said the department approaches such rescues on a case-by-case basis. “They try to lower the patient down to the river trail and put them on a boat because raising a patient back up the face of the cliff can be very difficult,” he said. He noted that the basket is used to minimize jostling without furthering a patient’s injuries. “It seems like every summer we have one or two rescues off the cliff,” he said.